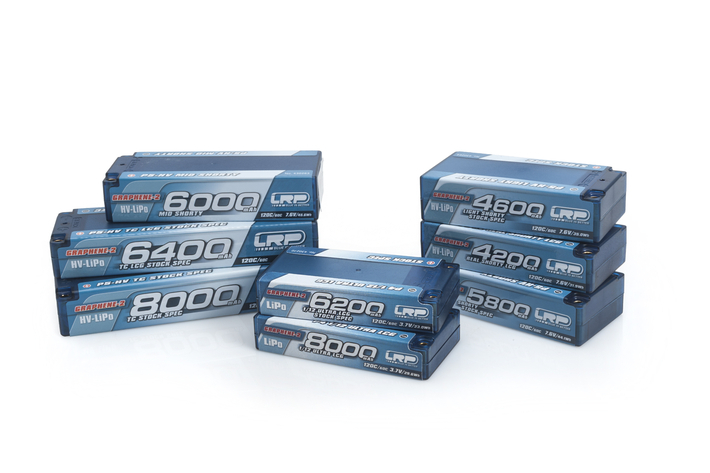 We are pleased to present our new LiPo Competition Car Line battery line-up for 2018! Our current Competition Car Line batteries are very popular amongst racers and are used around the world in many competition classes with great success. At the same time, they have gained a high level of acceptance and appreciation amongst the scene’s best drivers – LRP batteries were the most used brand and at the IFMAR TC World Championship and got World Champion in the hands of Ronald Völker. With the new 2018 generation, battery technology gets a further boost. With Graphene-2 cells, we introduce the next step in Graphene development, resulting in more power and optimized weight! Graphene-2 lowers the internal resistance which leads to less heat build-up under load. 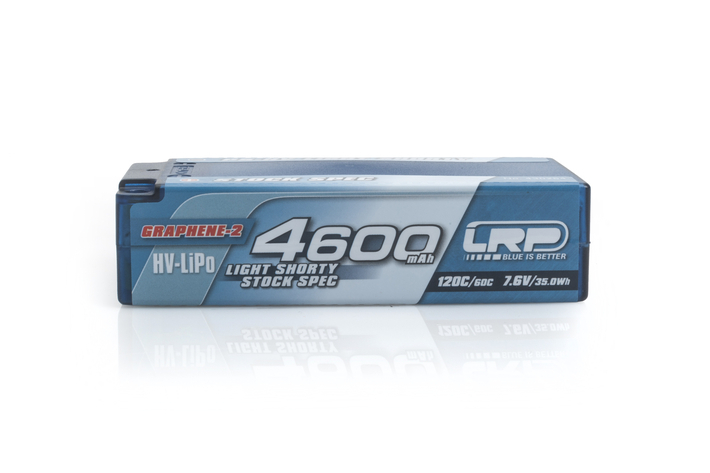 This guarantees maximum performance over the complete duration of a race. The High Voltage Technology leads to maximum power by using HV-LiPo cells. These can be charged up to 4.35V/cell without problems. When charging to 4.20V/cell, the new cell generation stands out with a significantly improved lifetime. The P5 5mm Gold Contact Connector System results in a reduced resistance due to a larger contact surface. Additionally free 5mm Gold WorksTeam connectors are included. · GRAPHENE-2 cells - The next step in Graphene development! MORE POWER – WEIGHT OPTIMIZED! · High Voltage Technologie - Max Power HV-LiPo cells! 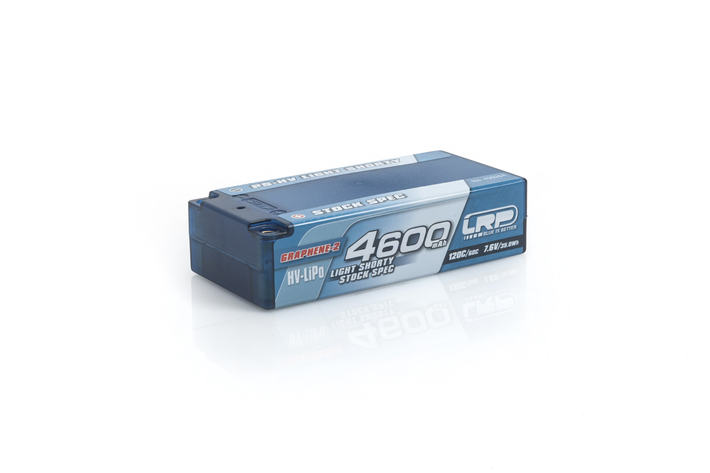 · Improved Lifetime - Significantly improved lifetime when charged to 4.20V/cell! · P5 5mm gold contact connector - Reduced resistance due to larger contact surface! FREE 5mm gold Works Team connectors included! · Stock Spec - Specially developed for the stock clase, higher voltage output for maximum acceleration and maximum speed. · 120C/60C LiPo Power. No memory effect, extremely long lifetime.